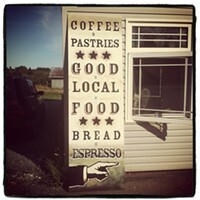 Calm your inner demons with coffee and espresso, and soothe your soul with fresh bread and baked-to-perfection treats. The Rose & Rooster does breakfast too, and with its proximity to Lawrencetown...this should be the prime spot to fuel up pre or post-beaching. Calm your inner demons with coffee and espresso, and soothe your soul with fresh bread and baked-to-perfection treats. The Rose & Rooster does breakfast too, and with its proximity to Lawrencetown...this should be the prime spot to fuel up pre- or post-beaching.